Nothing beats a palette for ease and convenience, don’t you agree? My go-to look is nearly always neutrals and I’m constantly on the hunt for a beautiful eyeshadow palette to pull it together. 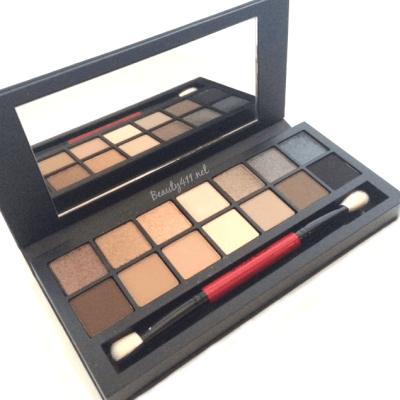 Although there are quite a few neutral palettes to choose from, the Smashbox Full Exposure Palette is one I’m recommending you add to your stash. The Smashbox Full Exposure Palette is a set of 14 neutral eye shadows from warm golds/browns to cool greys/black in matte and shimmer textures. The pigmentation of the shadows is excellent. And the shadows have a really nice silky feel; something I expect in more expensive eye shadows. I recommend using an eye primer for best results–especially with a shimmer shadow. I treat shimmers like I would pigments, in terms of application. 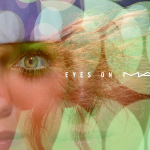 Apply a primer first, use a “stiff” brush (MAC 239) and “press” the shadow onto your lid, don’t sweep. 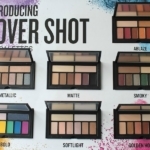 The Full Exposure Palette is organized with all the shimmer finishes in the top row and the mattes on the bottom; in many palettes I have the textures are interspersed. 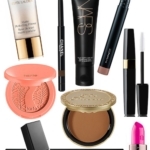 The colors are universally flattering; no matter your skin tone, hair color, eye color–you can find shades that work. From warm tones to cool tones, Smashbox covers all the bases. 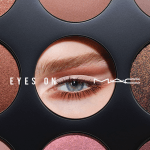 An eye shape chart is included with “how-to tips” to make sure you get the most flattering look with your palette. A deluxe sample of Full Exposure Mascara and a double-ended brush are included, too. 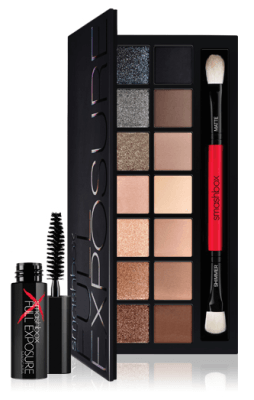 At $49, the Smashbox Full Exposure Palette is a great value; the price of each shadow works out to be $3.40. In my opinion, it’s totally worth it. 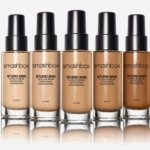 You can find the Smashbox Full Exposure Palette at Sephora, Ulta, Nordstrom, Macy’s and at Smashbox.com. Do you own this versatile palette? I’d love to get your take on it; leave a comment and let me know! I would love to get some samples! How do I get them? @Rachel…I have no idea, sorry! Hi Amy~This palette was definitely a nice discovery! What I like about it over others, it’s that it’s “organized” into groupings of warm/neutral/cool.Thanks for stopping by!